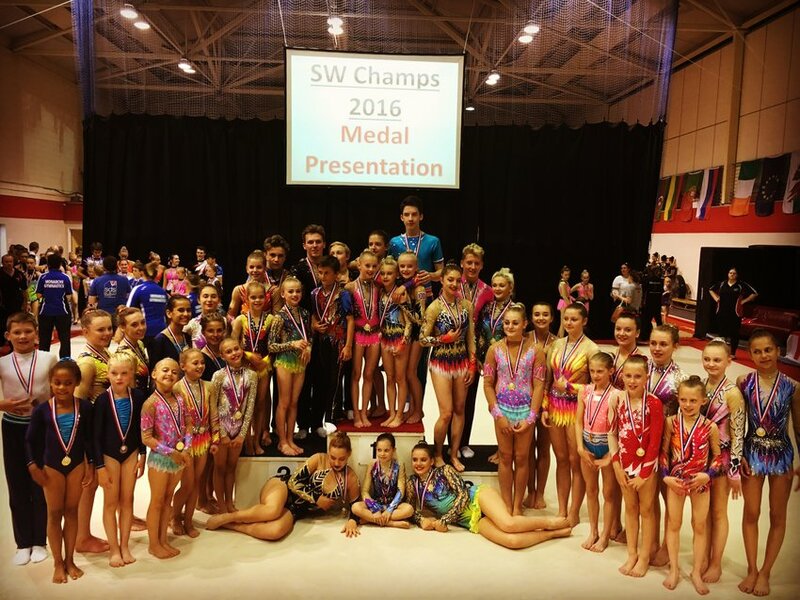 KING Edmund Gym Club’s ambitious and more established competitors produced a series of sparkling performances at the South West Championships. 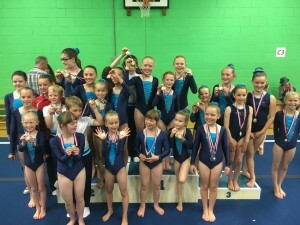 The annual event, staged at two locations over separate weekends, reaped a string of medal successes for the South Gloucestershire club who continue to mark their 35th anniversary year in scintillating style. King Eddies’ up-and-coming lower-grade athletes, some of whom are aged only six and seven but looking fair set to follow in the footsteps of their internationally-acclaimed senior compatriots, turned out in force at the Honiton showpiece in East Devon and took the tournament by storm, returning to their base camp in Yate armed with ten gold, seven silver and four bronze medals. The club were one of 15 from across the region to feature at the annual acrogymnastics double-header, which continued the following weekend at Yate International Gymnastics Centre with the senior performers of grade 4 status and above jostling for places on the podium. 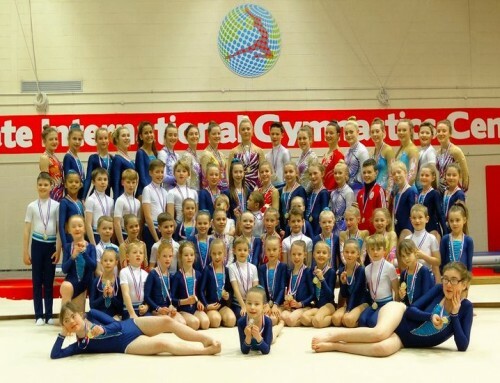 Just as they had done in Honiton, King Edmund, who pitched some 147 gymnasts into the two events backed up by a large contingent of coaches, swept aside all before them, this time claiming 18 gold, two silver and two bronze medals as they made home advantage well and truly count. 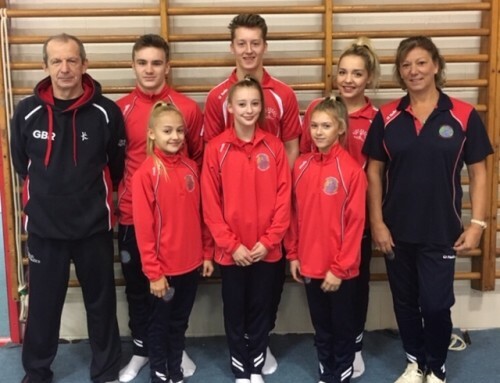 Striking gold were Finn Cochrane and partner Kirsten Owen, current European bronze medallists in the 11-16 age category who, in stepping up to the 12-18 mixed pair section, showed tremendous potential when it comes to their chances of success at the European Age Group Championships in Poland next year. 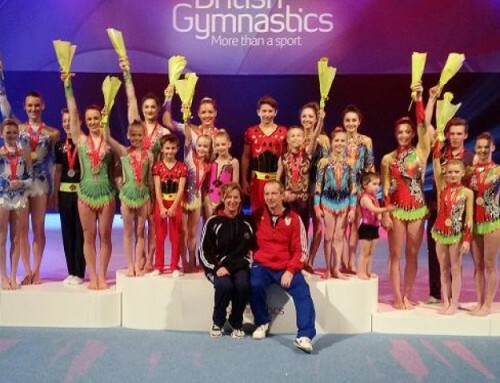 Two more of King Eddies’ most decorated partnerships, Marcus Flint and Harry Hole, the 13-18 World Championship bronze medallists, and Dove Strachan-Wills and Millie Battensby, reigning world silver medallists, ended their respective stints as pairings by also clinching gold medals before moving on to pastures new. The club’s long-serving and successful head coach, Nikki Thorne, said of the latest achievements: “We saw a tremendous display of team-work and determination from our gymnasts both at the Honiton and Yate competitions. “The South West Championships came quickly off the back of our own summer displays, which incorporated four shows watched by around 1,250 people. 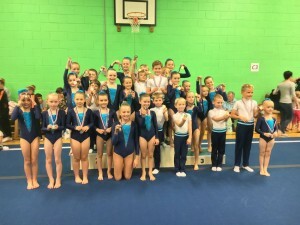 “Although we had held the South Wests in Yate before, this was the first time the new Yate International Gymnastics Centre had hosted them and at least 450 spectators passed through during the day.